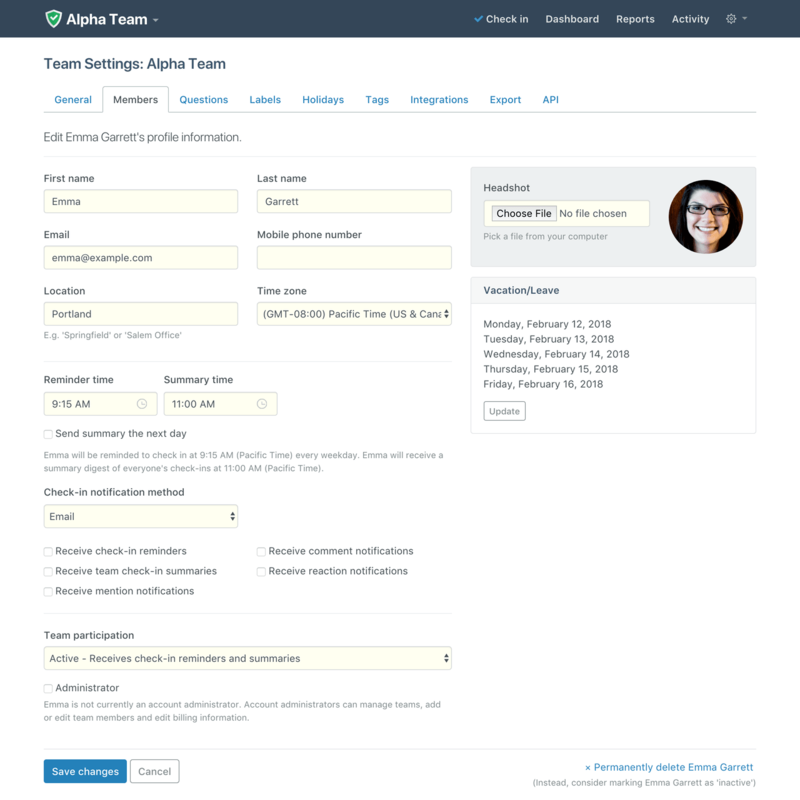 Administrators and Team Managers can remove team members by designating them “inactive”. To set a team member to inactive, go to Team Settings - Members and click “Edit” on the user that you want to make inactive. Under the “Team participation” section, select “Inactive” from the drop down and select “Save Changes”. Your account will not be billed for inactive team members, but their check-in history and metrics will be preserved.